What if I’m not totally happy? Do you have a reseller in … ? Can I get a NATA certificate? What if I'm not totally happy? We want to make sure that you have a product that does what you need it to do, and does it incredibly well. For the majority of our customers we offer our “One-Question-Asked” returns policy. What good is a “no questions asked” returns policy? If you are returning something to us, any reason will do, but we want to know that reason. Did you have a problem? Was it the wrong solution for you? Did you find a better solution? Our reason for asking is simple – we want to improve what we do. That may mean making a different recommendation to someone in the future, or not selling it for a specific purpose. Or it could be to continue recommending it to others because it was an issue specific to you. 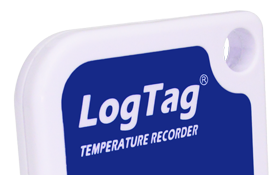 If we are selling a number of loggers that are going to be used in extreme environments, we ask that you test a single unit first a couple of times. We are happy to cover one damaged/broken unit but not a dozen.